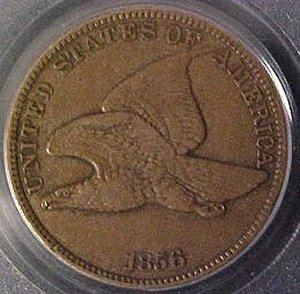 1856 U.S. Flying Eagle Cent PR-40 (PCGS)... 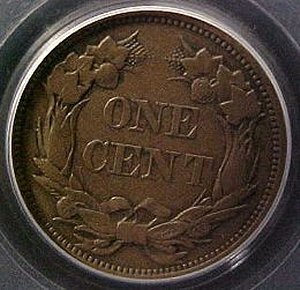 The key date to the series in an affordable condition with definite claims to be re-graded to almost uncirculated (AU-50) grade from our collectors cabinet.